Which NFL Player Gives The Most To Charity? Green Bay Packers quarterback Aaron Rodgers won his second NFL MVP last year, but earlier in 2014 he won an even more significant award: the Athletes in Action’s Bart Starr Award, which is given annually to the player who best embodies character and leadership both on and off the field. The award is named after former Packers quarterback Bart Starr, whose Rawhide Boys Ranch has been helping troubled youth since 1965, the year Starr led the Packers to the first of three consecutive NFL Championships. Starr is a reminder of the generosity displayed by many former NFL stars. But who is the most generous current player? Rodgers is the highest paid, with an annual average salary of $22 million. 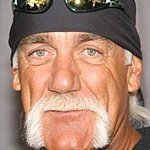 He has been generous both with his money and his time, recently raising $50,000 on Celebrity Jeopardy to fight childhood cancer. He also was named as a finalist for the 2014 Walter Payton Man of the Year Award, along with 49ers wide receiver Anquan Boldin, finishing behind Panthers linebacker Thomas Davis. But Rodgers still has a ways to go if he wants to match the generosity of some of his NFL colleagues. When former Detroit Lions defensive tackle Ndamukong Suh isn’t busy on the field, he’s equally aggressive about donating to charity. In 2012, Forbes ranked Suh highest among NFL players on the top 30 most generous celebrities for his $2.6 million donation to the University of Nebraska, which included $2 million for the athletic department and another $600,000 to a scholarship fund for the College of Engineering. Suh also runs a number of his own charities, such as the Ndamukong Suh Family Foundation. With a new six-year contract from the Miami Dolphins worth over $114 million, Suh has plenty of capital to maintain his spot as the most charitable player in the game. New York Giants quarterback Eli Manning was another NFL player to appear on Forbes’ 2012 list of most generous celebrities for his $1 million donation to help low-income students at the University of Mississippi. More recently, the two-time Super Bowl winner was recognized from the New York Observer as one of the top 20 philanthropists under the age of 40. IRS data from 2006 to 2012 shows that, in addition to the $1 million Manning gave the University of Mississippi, he also raised almost $3 million to build the Eli Manning Children’s Clinic, which provides outpatient care to over 75,000 children annually. For the past nine years, Manning has hosted the Guiding Eyes for the Blind Golf Classic, which has raised hundreds of thousands of dollars every year to help provide seeing eye dogs. And just last year, the tournament raised approximately $700,000. 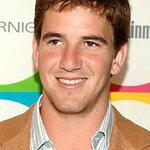 During Hurricane Katrina, Eli joined his brother Peyton to help the Red Cross bring supplies to victims. It’s hard to know who has donated more money to charity between the two Manning brothers. Since 1999, Peyton’s PeyBack Foundation has provided over $10 million to provide leadership and growth for at-risk youth, for which he received a National Jefferson Award for outstanding achievement in public service. Since 1998, Manning and his wife have donated an undisclosed amount to Indianapolis’ St. Vincent Hospital, which renamed its children’s hospital the Peyton Manning Children’s Hospital at St. Vincent in 2007. With Manning now playing for the Denver Broncos, his foundation donated $630,000 to Colorado causes last year. Peyton received the 2015 Bart Starr Award in recognition of his charity work, as well. Just as fans debate whether Peyton Manning or Tom Brady is the better quarterback, it’s not clear who has given more to charity. One variable that makes it hard to count who gave more is Brady’s wife Gisele Bundchen, who outranked Eli Manning on Forbes’ 2012 list of most generous celebrities for her $1.5 million donation to Red Cross Haiti relief efforts. Brady actively raises funds for Best Buddies International, which helps people with intellectual and developmental disabilities by pairing them with friends and mentors. Brady recently donated his $170,000 speaking fee to the organization, and the Best Buddies Tom Brady Football Challenge awarded one winning donor the opportunity to play with Brady in a touch football game. Brady also works with other charities, including the Boys & Girls Clubs of America, the Entertainment Industry Foundation and KaBOOM! This month he donated $50,000 to the Jimmy Fund, which supports adult and pediatric cancer care and research. Just as the game of football has become a passing game, the list of the NFL’s most generous players is dominated by quarterbacks, who earn the highest salaries and have the most to give. New Orleans Saints quarterback Drew Brees currently has the top base salary for NFL quarterbacks at $18.75 million. For many years, he has given back generously. He started the Brees Dream Foundation in 2003 to support cancer patients and research. To date, the foundation has raised over $22 million for various global causes, possibly making Brees the most generous donor on this list. Like the Mannings, Brees helped New Orleans recover from Hurricane Katrina, turning his foundation toward the cause of rebuilding the area. Brees won the 2011 Bart Starr Award for the $6 million he contributed toward cancer research and other causes. Now that you know more about these philanthropic players, go see them play in person by purchasing tickets in advance from NFL Ticket Exchange.